1.Saving the blade and reduce costs: Adopt double blade by R-θ control mode, so that the blade cutoff the profile by its contour and also two small blades costs just less than half of the price for a conventional blade. 2. 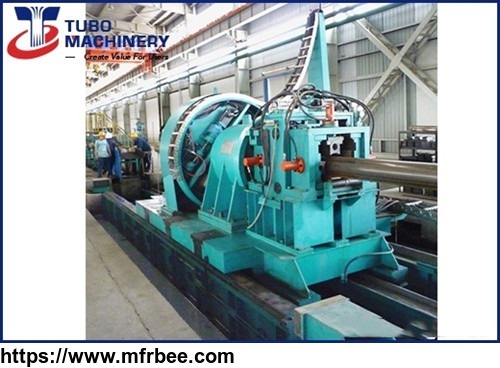 Tipped blade, increase strength: This model machine uses high strength, high stiffness tipped saw blade for cutting the pipe with inner ribs, welded high-strength materials,and fit for wide scope material, saw blade cutting life is more than twice of the normal blade. 3.Cutoff inline, best quality with stable working performance and high efficiency: The software is independent research and development by us R & D design team familiar with pipe industry production requirements, has a wealth of experience for more than 20 years. 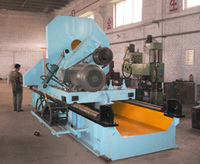 According to pipe diameter/wall thickness/line speed and other requirements, based on servo system and our own software we can supply best steel tube and pipe cutting solution for worldwide customer.